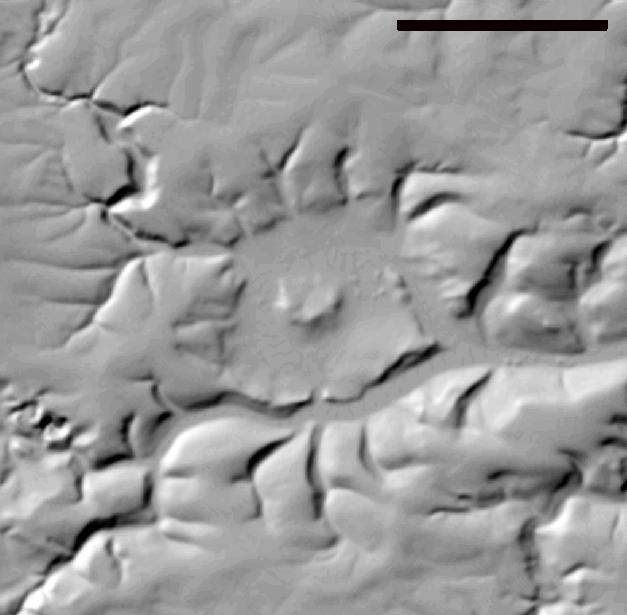 The 15 Ma Steinheim basin, very probably a companion to the Ries impact structure, is a typical complex impact structure with a distinct 1,000 m-diameter central uplift (Fig. 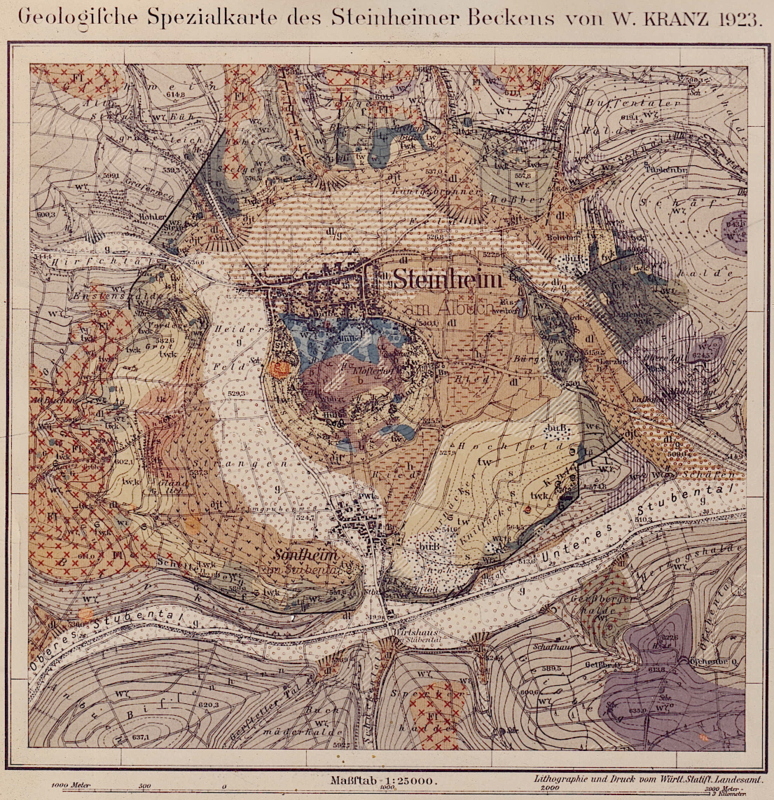 1) as also shown by topographical profiles, in a relief map and on the geological map. Commonly, a diameter of about 3.7 km is quoted, but there is evidence that the structure is much larger (see gravity survey). Fig. 1. Steinheim basin impact structure; view to the north. 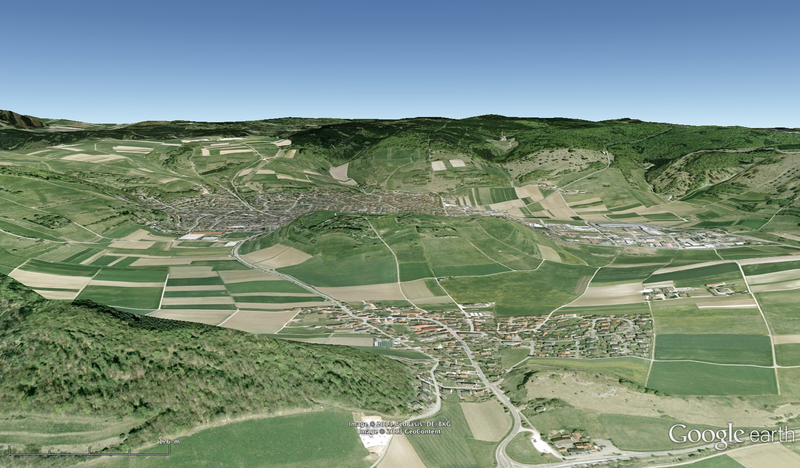 Source: Google Earth. Typical example of a complex impact crater exhibiting a central uplift (in the middle of the image) that formed in the final phase of impact cratering in the modification stage.